Save the date! 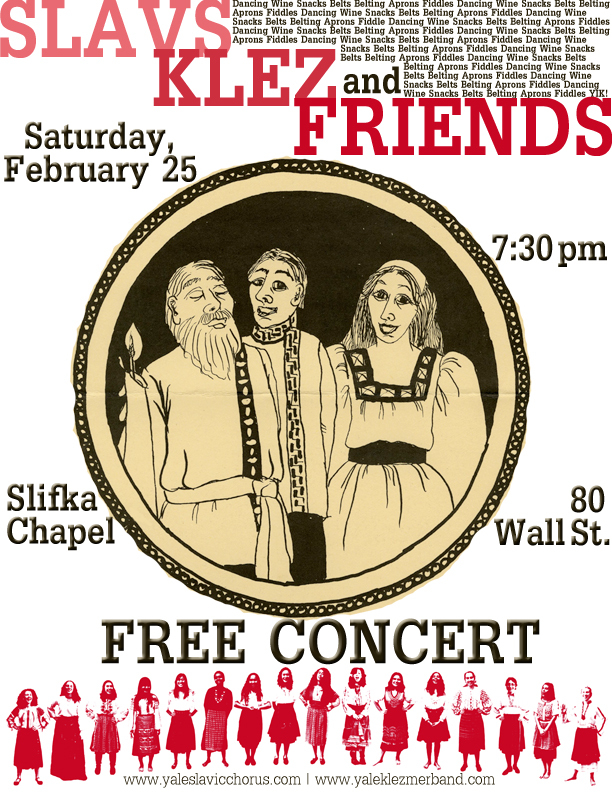 SATURDAY, FEBRUARY 25TH, we will be performing with the Yale Klezmer Band, the Yale Russian Chorus, and 50 other singers in a joint concert. Singing, dancing, and good food abound–please join us!